From Kansas Coalition Against the Death Penalty. 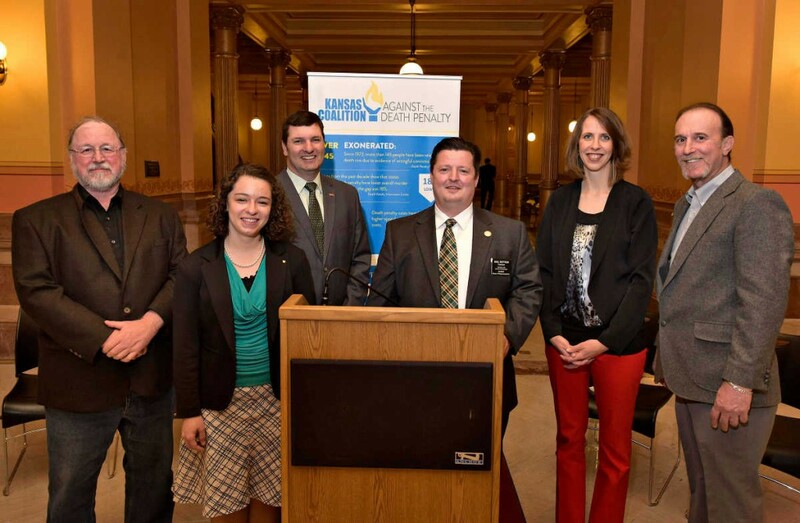 TOPEKA, Kan. — Today at the Capitol, Representative Bill Sutton, R–Gardner, joined a group of conservative leaders calling for support of HB 2129. This bill would replace the death penalty in Kansas with life in prison without the possibility of parole. Their case is straightforward: the death penalty is at odds with core conservative values — a commitment to fiscal responsibility, limited government, and valuing life. “There are millions of dollars spent on trials and appeals and we have nothing to show for it,” said Sutton. “There is absolutely zero utility for the tax dollars spent.” Earlier this year, Rep. Sutton detailed the high cost of Kansas’ death penalty in an op-ed appearing in Watchdog.org. In addition to Kansas, Nebraska is also considering legislation to repeal the death penalty. A bill repealing the death penalty and replacing it with life without parole passed the Nebraska Judiciary Committee unanimously earlier this month. Krone said, “If it can happen to me, it can happen to anybody.” Krone was the 100th person in America to have faced the death penalty and to be later proven innocent. Since 1973, 150 people have been wrongfully sentenced to death and later exonerated. Jill Craven, Secretary of the Fourth District of the Kansas Republican Party, said it’s time that Republicans take a stand on the death penalty consistent with party values. “I challenge conservatives to take a fresh look at all the details surrounding this issue — moral implications and fiscal impact — and again stand boldly for what is right,” said Craven. The call for repeal is stated in an open letter signed by Craven, Sutton, Brown and other prominent conservatives from across Kansas. 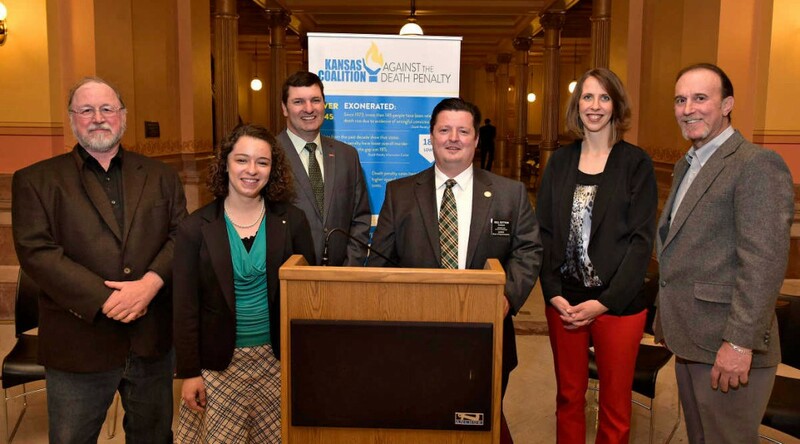 Speakers are hopeful that the growing conservative support in Kansas for repeal of the death penalty will lead to a hearing and a vote on HB 2129, which currently is in the House Appropriations Committee. More information about the death penalty can be found online at ksabolition.org and conservativesconcerned.org.